 “If we want to manage seismicity, we really need to understand the controls,” said lead author Bridget Scanlon, a senior research scientist at UT’s Bureau of Economic Geology. 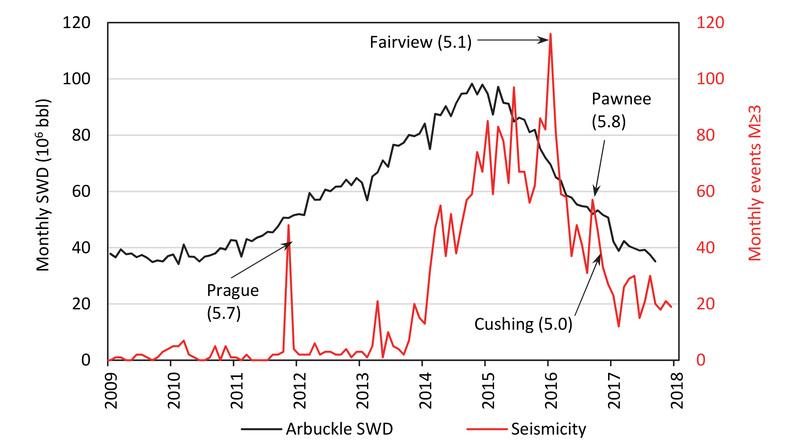 Comparison between monthly rates of produced water disposal (SWD) and the monthly number of seismic events with M ≥ 3.0 in the Oklahoma area of interest. The produced water disposal volumes are in black and the number of seismic events are in red. The labels on the chart indicate the location and magnitude of seismic events with M ≥ 5.0. Scanlon et al. 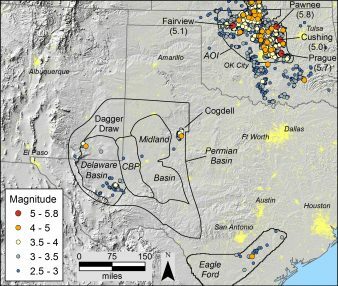 Seismic events with magnitude (M) ≥ 2.5 that occurred from January 2009 through December 2017 in the Oklahoma,southern Kansas,Permian basin,and Eagle Ford play study areas. There were 8532 events in the Oklahoma/South Kansas cluster, including four M ≥ 5.0 events (labeled). Scanlon et al. In conventional energy production, water is usually injected back into the reservoir that produced the oil and gas, which stabilizes pressure within the reservoir. 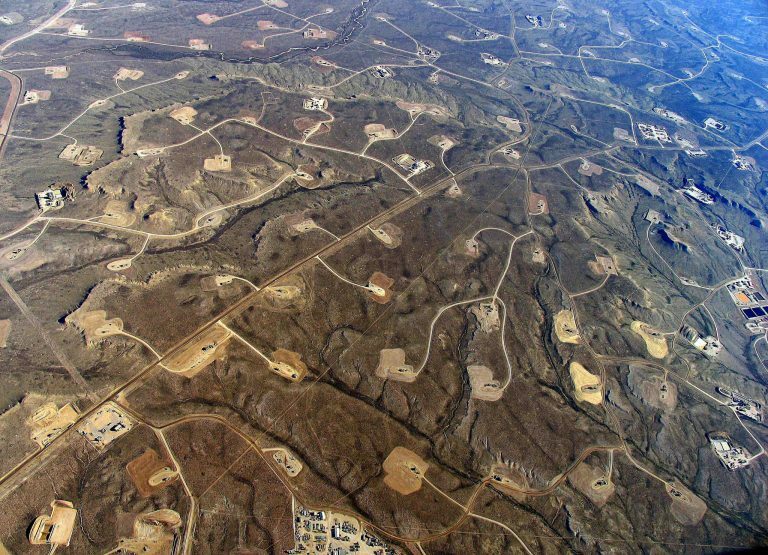 However, water produced during hydraulic fracturing—the method used to access energy in tight oil plays— cannot be returned because the rock pores are too small for the water to be injected back into the rock. That water is usually injected into nearby geologic formations, which can increase pressure on the surrounding rock.